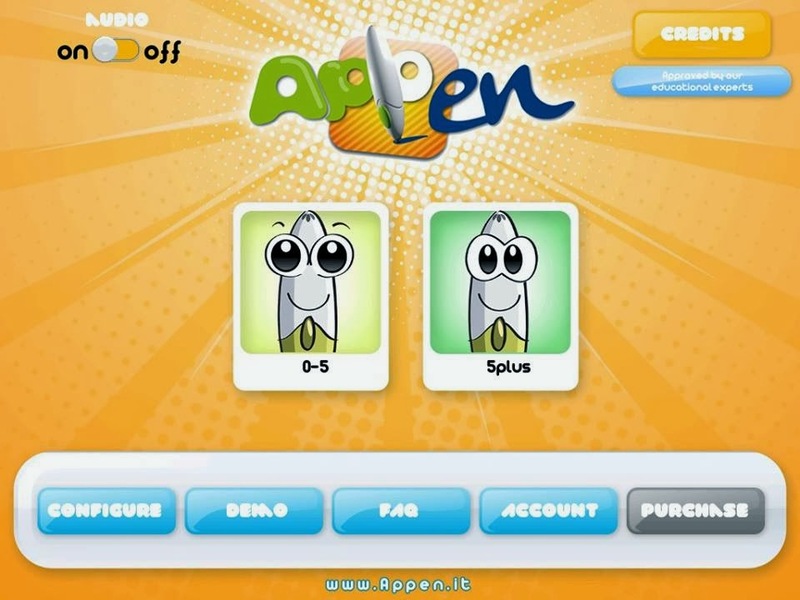 The Appen is the new, revolutionary pen (combined with the dedicated free app) that gives children a fun, engaging way to colour, draw, learn and play. 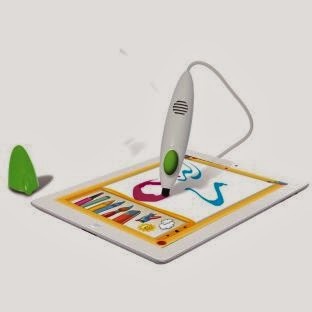 This innovative pen can vary in line thickness depending on how hard your child presses the pen down on the smart device during creative drawing. 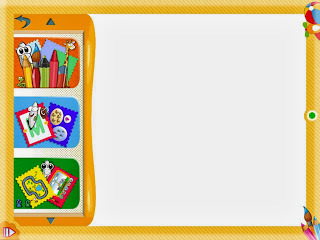 Unleash your child's imagination with many colourful drawing tools, ten pictures to colour in, unlock sticker animation and interactive rewards. With Appen you can teach your child how to write letters and learn to count, as well as play games. For kids it's a world of fun and magic, for parent's mess free learning on the go! Appen is designed as a lightweight easy to hold pen for kids with an easy glide silicon nib. Download your free app on Amazon android store, Google Play store & Apple store. My little man is only 3 so he plays the 0-5 games which are perfect for him whereas my Lily who's 6 loves the 5 plus games. It's a great idea as all children get to play games that are suited to their ages, leaving no one out. 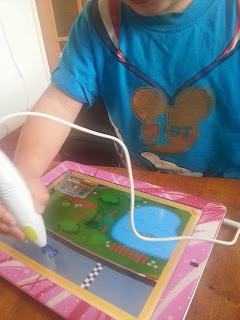 Ryan loves the car racing game which is really simple to play, by pressing his pen onto the screen he can move his car around the track. 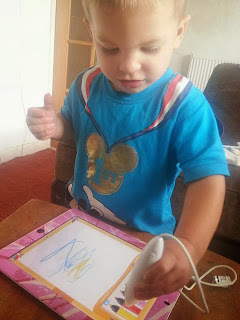 He also loves drawing his own pictures with the other games. There's a great choice of colours and again t's really easy to do. You just touch the colour you want with your pen and draw! 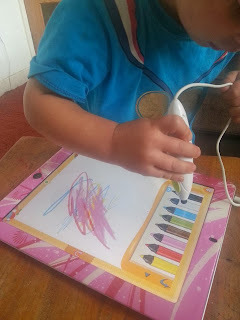 The APPen is pressure Sensitivity so the harder you press the pen down on the device, the thicker the line will be and even better is the fact that no batteries are required. You just download the free App then plug into your devices headphone socket and play. Once your little ones have created their masterpieces there's also the capabilities to share with friends & family through your social media like Facebook or even with an email account. The APPen even has the capacity to track your child's learning process which is great. The APPen costs just £14.99 which is a really good price for what you get. You can keep your kids happy for hours with this fun new toy. 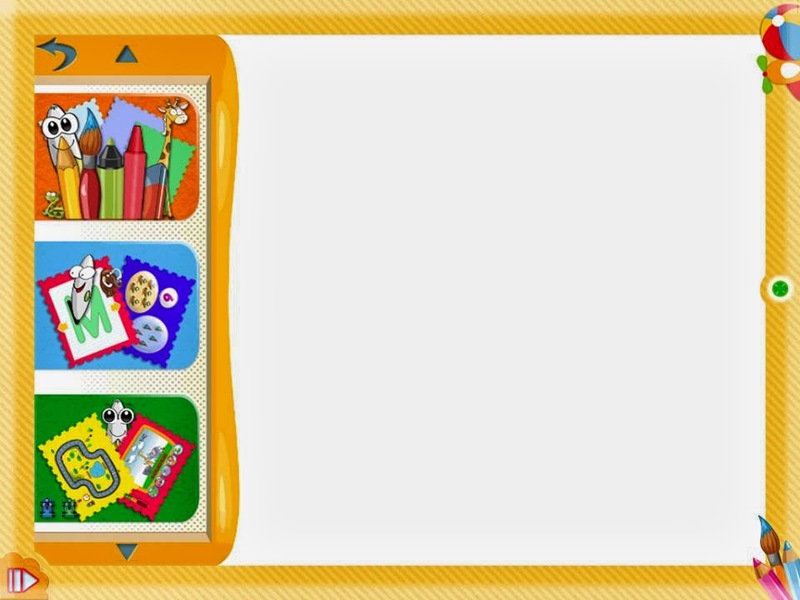 Not only is it educational but it will help your children learn in a fun, non scary way. My children love it, and I think it's really great too. Mummy Of 3 Diaries gives the new APPen a 4/5. It's fun, it's simple and it's easy to use. 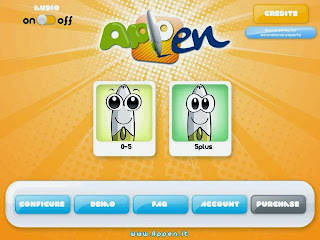 Click here for more APPen News and enter for the chance to win an Ipad.